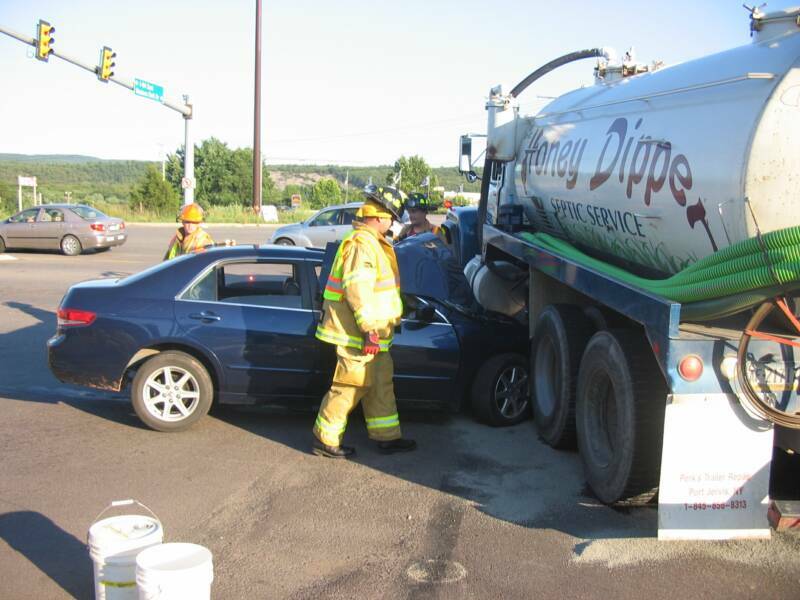 07/12/07 - WESTFALL TWP - At 18:43, Both Fire Station and Squad 39 were alerted for an Auto Accident involving a car and a tank truck. 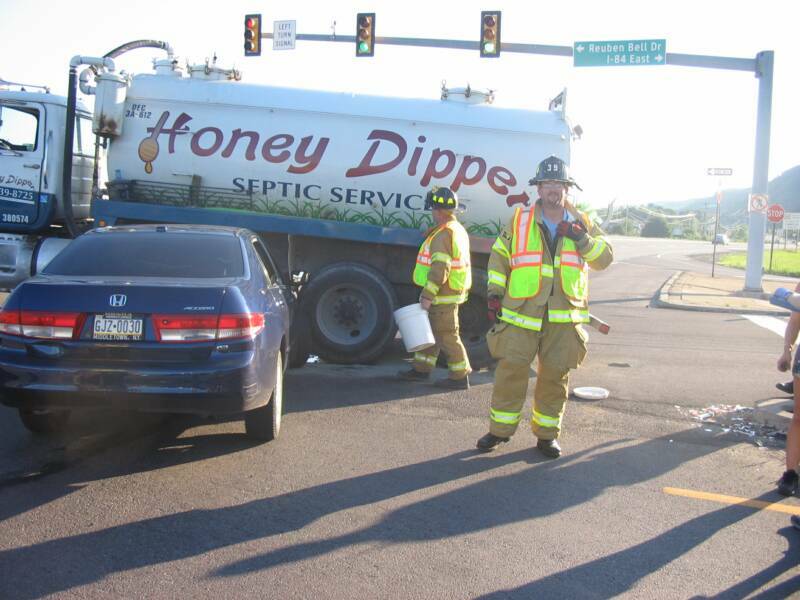 On arrival, Engine 2 found a Honda sedan wedged underneath the side of a septic truck. There was no apparent injuries to either vehicles occupants. 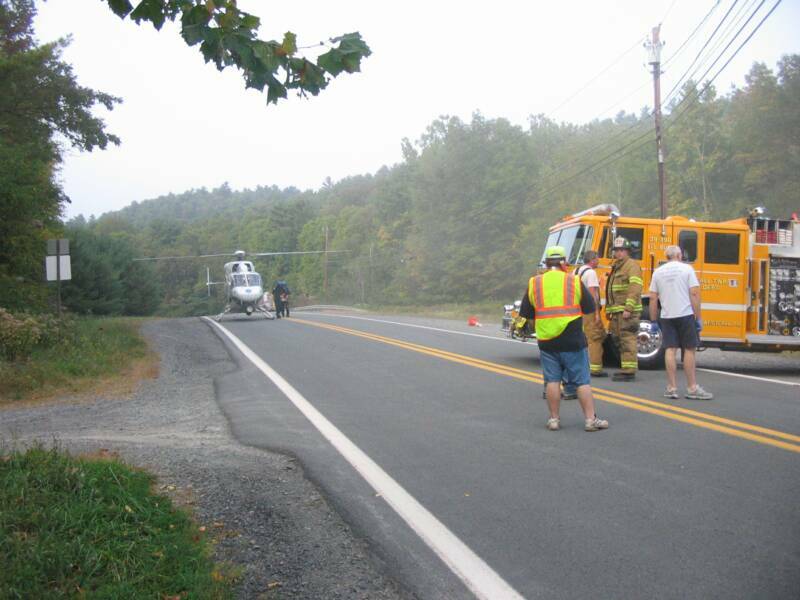 Personell contained the spilt fluids in the roadway, secured the vehicle batteries, and assisted with traffic control. Overall, this could have been a messy situation.........All units returned to service at 19:45. 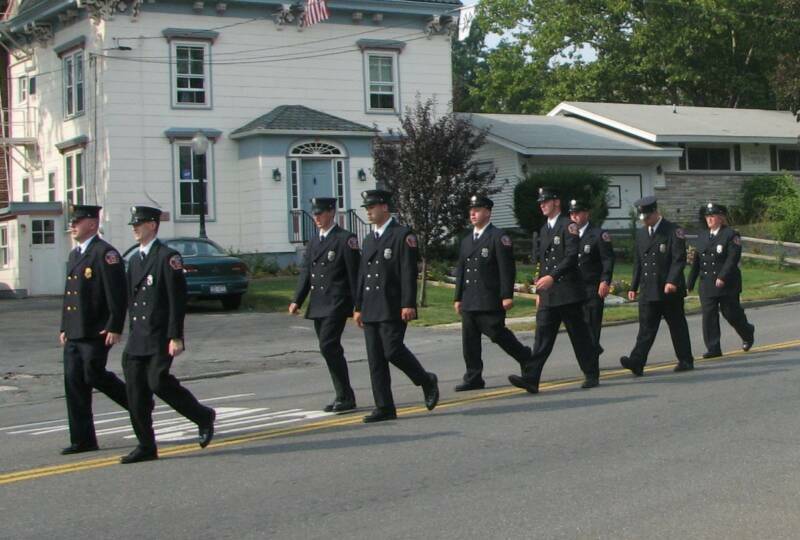 07/14/07 - PORT JERVIS NY - The members of Station 39 participated in the Port Jervis Fire Departments Annnual Inspection Day Parade. Being only 2 miles from Westfall, all the apparatus attended. Prior to the start of the Parade, Engine 1 went ot judging at the PJHS and was thoroughly inspected by the Parade Judges. 39 Tanker utilized the day to make a debut appearance showing the citizens and firemen of the Tri-State area our newest piece of equipment. No trophy was awarded this day, but the apparatus looked great. 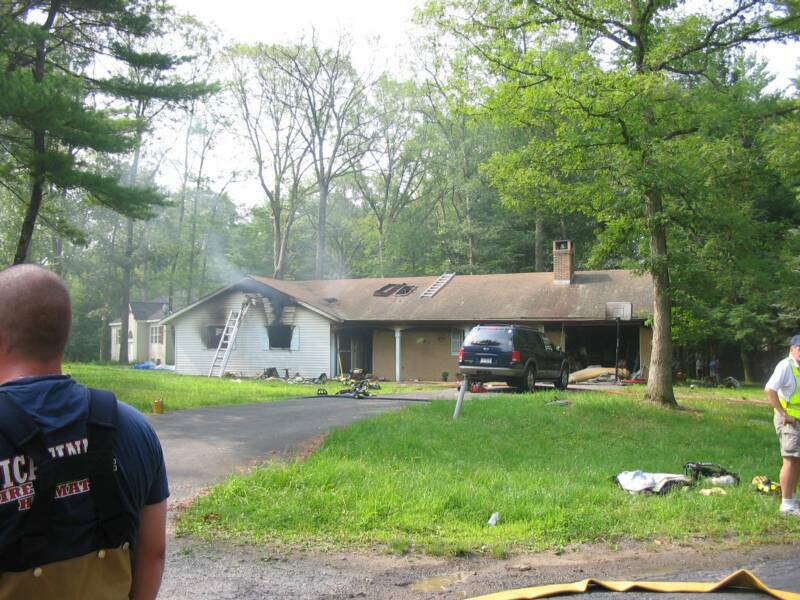 07/26/07 - MONTAGUE NJ - At 08:48, Fire Station 39 was requested under mutual aid for Engine 1 and 39 Tanker to scene of a structure fire in the High Point Country Club, Montague NJ. 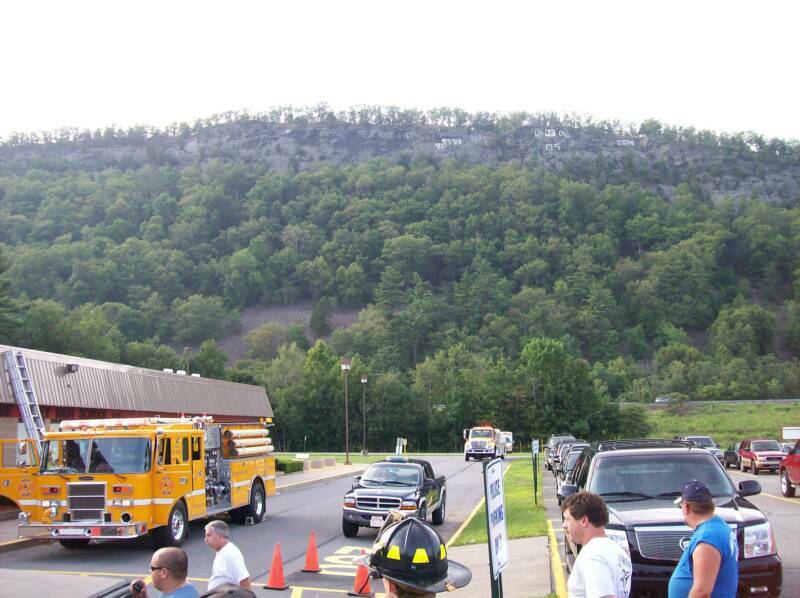 Both rigs were on the road within minutes staffed with full crews. Once on scene, the personnel from Engine 1 assisted Montague with overhaul while the Tanker shuttled water from a near-by fill site. All units returned to service at 11:56. 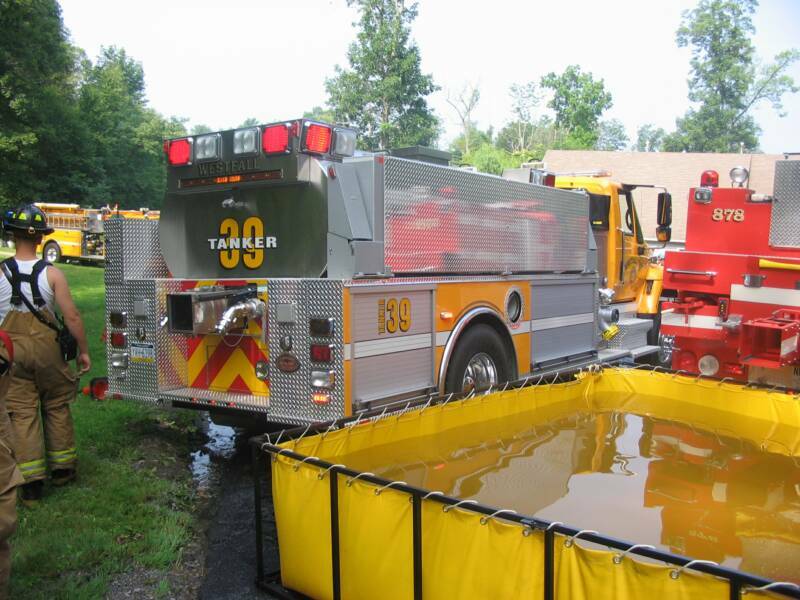 08/11/07 - WESTFALL TWP - The new Tanker was formally welcomed with a Wet-down and Dedicatiion Ceremony. With the family of "Irving Hulst" a former founding member of the Westfall Twp Vol. 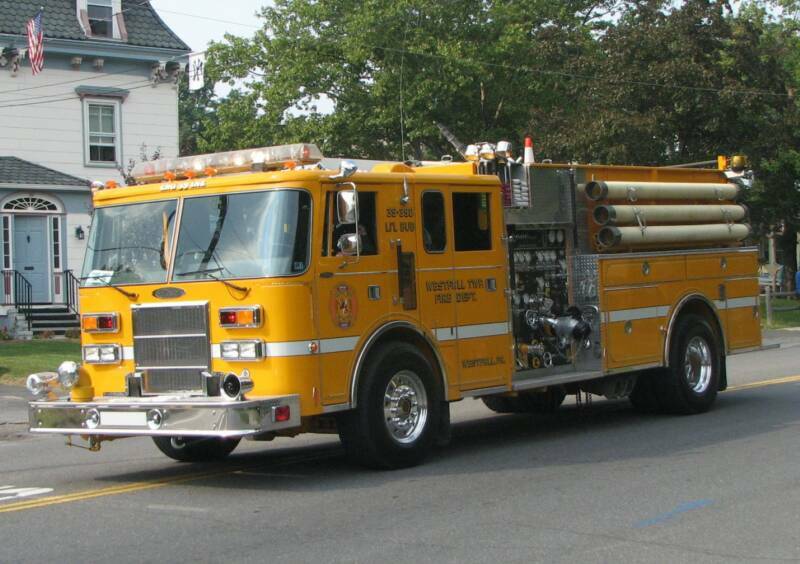 Fire Department on hand, the Tanker was officially named in his honor. Throughout the day, Fire Departments from all over the Tri-State Area made an appearance to soak down the new truck..
Howells Fire Dept Chief Brian Scott engages the Westfall members in a ceremonial toast. 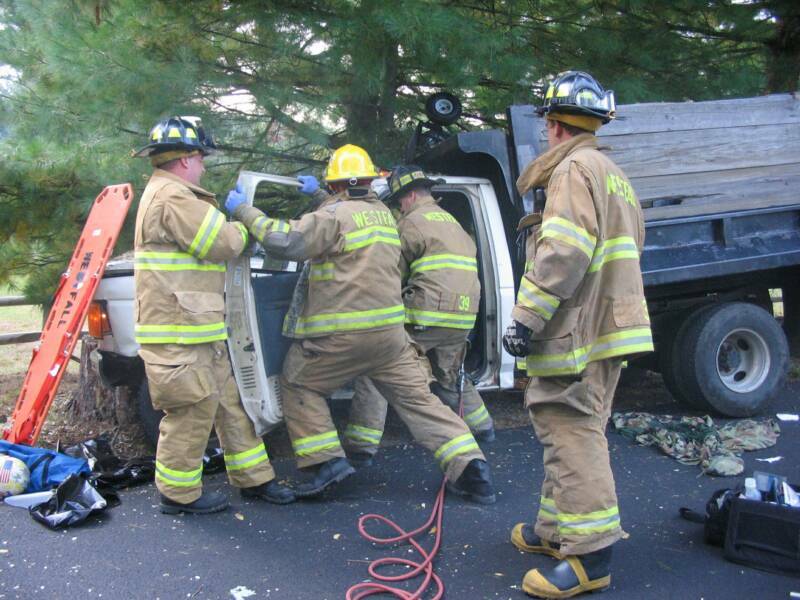 9/26/07 - WESTFALL TWP - At 16:43 hrs, both Fire Station and Squad 39 were alerted for an Auto Accident involving a dump truck on Cummins Hill Road. AC Koferl (39-2) arrived to find a small mason dump off the roadway into a large tree base with the driver entrapped and a passenger lying in the roadway. 2 Medevacs and 2 ALS units were summoned to the scene. 39 E-2 extricated the driver while both A-398 and A-399 prepared the patients for transport the the landing zone which was established by 39 E-1 and 32 E. Medevac 2 was capable of flying both patients and the second Medevac was cancelled. 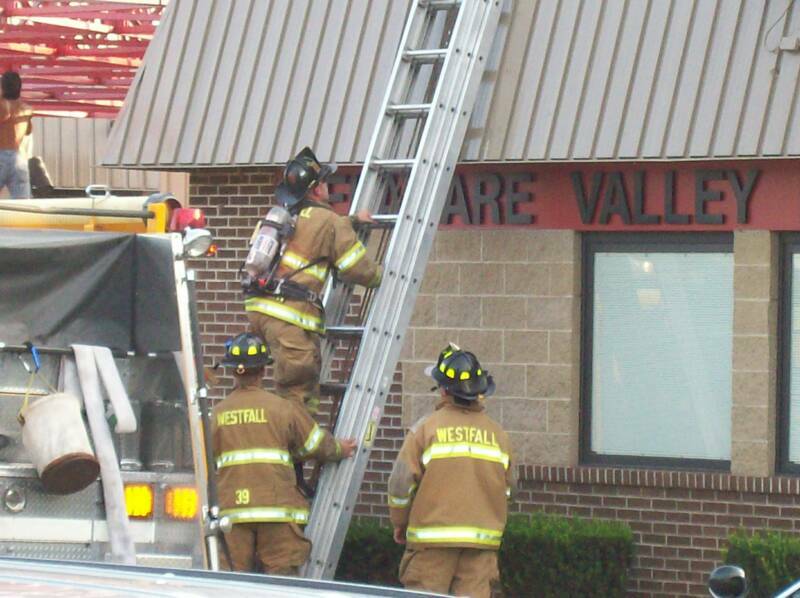 33 Engine stood by in station during this incident. All units returned to service at 18:06. 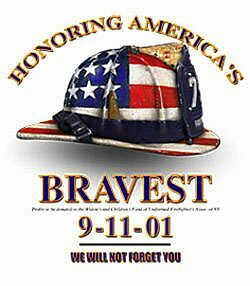 9/29/07 - PORT JERVIS NY -The members of the Westfall Fire Department attended the Dedication Ceremony held by the Port Jervis Fire Department's Delaware Engine Company 2. Their new 2007 KME Engine was officially christened during the Wet-Down. Congratulations and we wish you good luck with your new "Blue Monster".